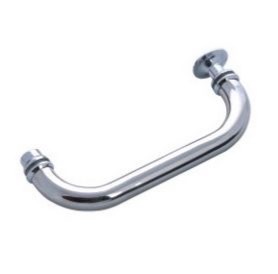 Brushed Aluminium Door handles, Polished Chrome effect Door knobs and many more besides. 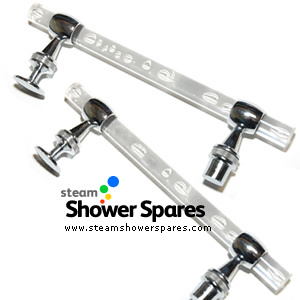 We also have clear bubble handles and chunky chrome effect ones too. 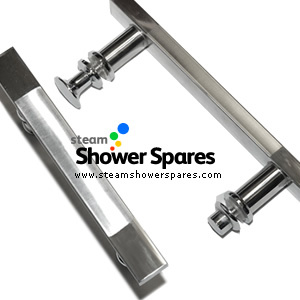 Most of our shower door handles are a standard 145mm between fixings, whilst the door knobs are usually a single hole fitting. They fit through a 4mm door hole in the glass doors. 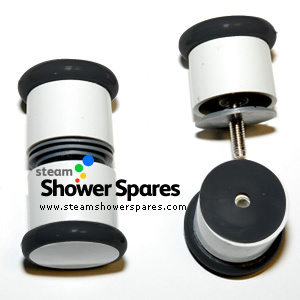 Most of our shower door knobs and steam shower handles are a universal fitting so can be easily used to replace tired and marked shower handles for other makes and models. 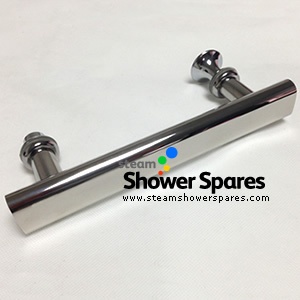 Set of Brushed Stainless Steel Shower Door Handles. 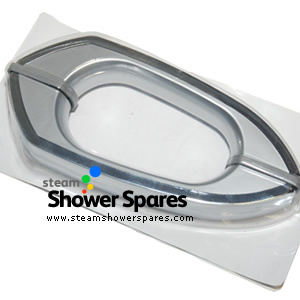 Chunky styled chrome finished shower door handles. 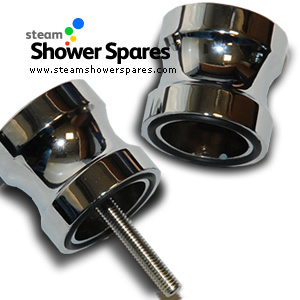 Set of polished chrome finsihed shower door knobs. 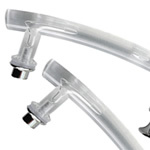 Clear styled door handles with bubbles injected into the handle. 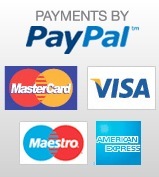 Alternatives available. 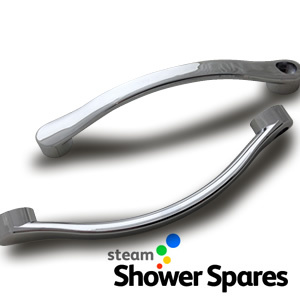 Clear styled door handles with bubbles injected into the handle. 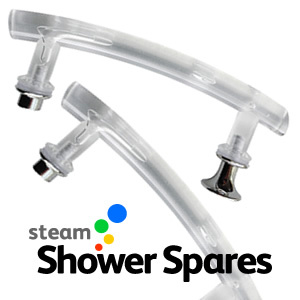 This is an alternative to the older styled bubble handles.